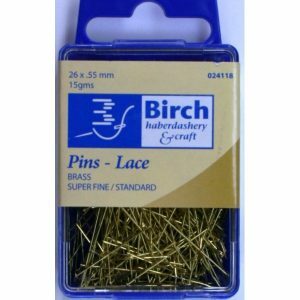 Excellent for lace being 0.55mm fine. Brass will not rust. Made in Japan, these Sewparts Pins are of excellent quality. 25g of pins come in a red handy container. These are super fine, long very useful pins. 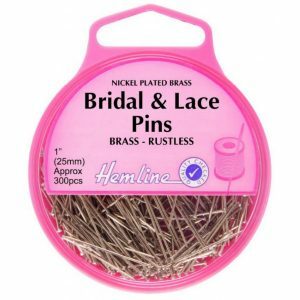 Bridal And Lace Pins: Nickel 25mm 300pcs. Rustless Brass – Nickel Plated. 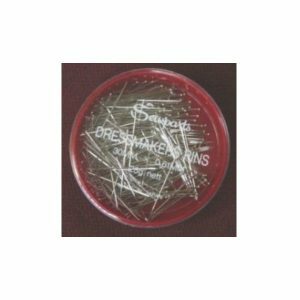 Ideal for bridal wear and lacemaking. Use whenever a brass pin is required.